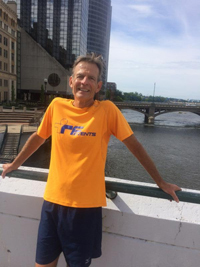 RF Events - 2018-08-01 - SEE, Running is good for you! 2018-08-01 - SEE, Running is good for you! I, like many, am a sucker for studies that show positive results for the stuff I do. Some examples would be: drinking red wine, eating dark chocolate and of course, running! The latest one shows a huge reduction in glaucoma and another shows a reduction of cataracts for those of us who run. Looks like I get to keep all of my vices... and my eyesight! Randy Step, an admitted obsessed runner, chocholic and wine snob... cheers! PS: Speaking of wine... WE WANT YOU ON THE UNCORKED CREW! 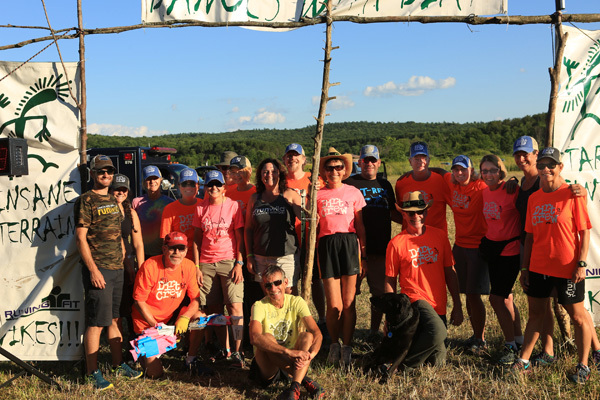 Join us between the vines on Saturday, August 18, 2018 in Jackson, MI at Sandhill Crane Vineyards for a volunteer experience like no other! Volunteers receive a sweet Uncorked Crew shirt, a $30 coupon towards a future RF Event and a ticket to the post race wine pairing party! Give back and be a part of a great event! PS: Run and raise a glass with us one final time in 2018 at the Scrumpy Skedaddle 5K and 10K! This fall run through the orchards on Sunday, October 7, 2018 at Almar Orchards in Flushing, MI with hard or soft cider, all you can eat pancakes, live music and more is sure to become an annual tradition! Custom shirts to all entrants and sweet bottle opener finisher medals make this a can't miss event.